Since 2012 the University of Wollongong has seen some of its brightest minds share their ‘idea worth spreading’. In 2018, TEDxUWollongong seeks to uncover the why and how of research with this year’s theme ‘Exposition: Research Storytellers’. TEDxUWollongong 2018 was held at the University of Wollongong’s Keiraville campus in the Performance Theatre, Creative Arts on Saturday, September 29, 2018. Due to our TEDx licence, there are only 1oo tickets available to each event. Tickets disappear quickly so make sure you are on the mailing list for the next event. 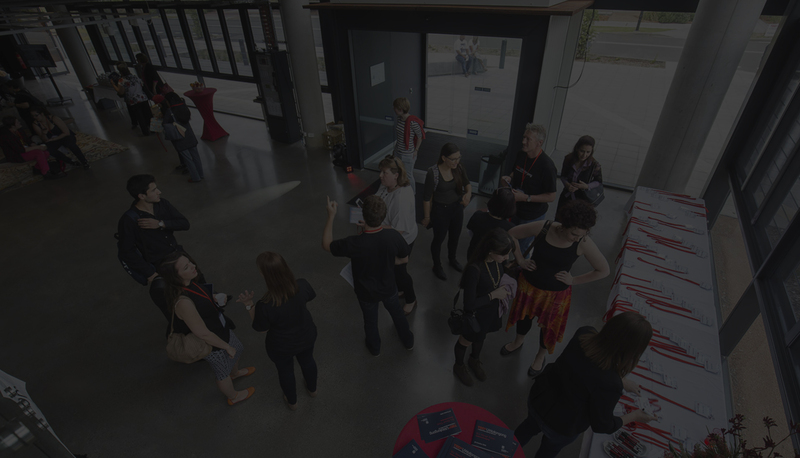 TEDxUWollongong 2018 – Exposition- research storytellers. Saw our speakers inspire our live audience with their revealing talks, describing how their professional and personal journeys have intertwined in their efforts to contribute to the greater knowledge of society. TEDxUWollongong combines live talks from UOW students and academics with the broadcast of two special TED talks and networking and interactive activities, to provide attendees with an event experience that delivers on the TED philosophy of ‘Ideas Worth Spreading’. Organised by the Research Services Office team at the University of Wollongong, the TEDxUWollongong 2018 event aimed to create an experience for our community to hear the inspiring stories from UOW students, academics and alumni. With our TEDx event selling out in record time, the UOW Wellbeing team and associates ran three TEDx Salon events in the lead up to the big event.